Travel Kuqa | What's Worth Visiting in Kuqa, Xinjiang? Travel Kuqa | What’s Worth Visiting? The ancient city of Kuqa (a.k.a. “Kuche” or 库车) is one of those historically significant and yet often-overlooked places to visit in China’s far western region of Xinjiang. When it comes to traveling in Xinjiang, places like Kashgar, Turpan and Yili often hog the spotlight. However, there are many other smaller cities and villages worth visiting if you have the time. Kuqa is one of those cities. It won’t appeal to every traveler, but if you like Silk Road history or love the Uyghur culture, this might be a place you really enjoy visiting. Personally, I came to Kuqa through what is known as the “Du-ku highway” or the “Dushanzi to Kuqa” highway which was an amazing trip through the Tianshan mountain – definitely a trip I recommend. Along the way I spent time at the Narat Grasslands, the Bayinbulak Grasslands and the Tianshan Mysterious Grand Canyon (mentioned below). Spending a couple days in Kuqa was a treat at the end of such an amazing trip, and I hope I can share with you what made it so special for me. Don’t miss awesome, weekly videos…subscribe to FarWestChina on YouTube! 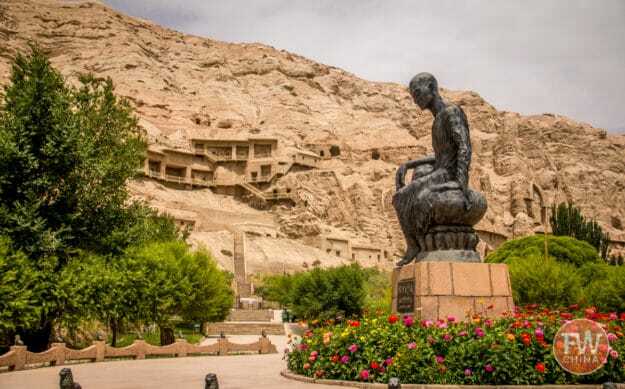 Despite its relative obscurity, Kuqa has a history that spans thousands of years and has been considered a major center of Buddhism and Silk Road economy. There are quite a number of significant archeological sites around Kuqa including the Subash Ancient City, multiple collections of caves and the Beacon Tower. This tower, which stands 13.5 meters in height, is only about 12km north of town, so it’s not difficult to visit. The Beacon Tower was once used to warn Kuqa residents of any impending enemy raid but now it stands as a testament to how history can stand hundreds of years of erosion. 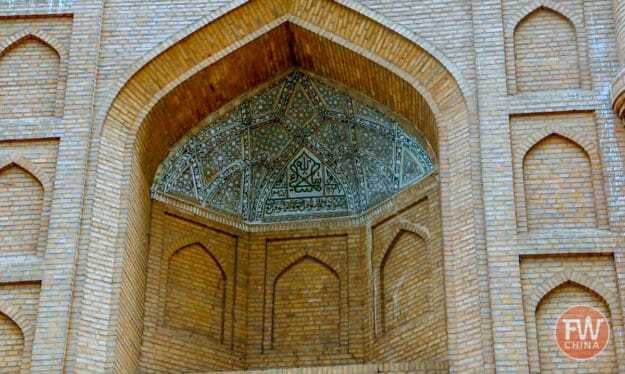 Built in 1559, the Grand Kuqa Mosque is known as the second largest mosque behind the well-known Id Kah Mosque in Kashgar. The mosque is tucked away in the middle of Kuqa’s Old City without any major signs to direct travelers. During my visit, I kept my eye out for the twin spires that poked above the surrounding buildings on the west side of the river. Over the past few hundred years, this building has endured fires, earthquakes and erosion, many of which have required some sort of rebuild. Thousands of Kuqa Muslims gather here on Fridays to pray but it is possible for visitors to enter for a small fee. The inside of the mosque isn’t spectacular but I did enjoy getting views of the Kuqa Old City from the balcony to the east. Carved into the side of sandstone mountains northwest of Kuqa, the Kizil Thousand Buddhist Caves is probably the most well-known destination in the area. There are over 200 caves spread across a couple kilometers of sandstone that are filled with art and statues that date back thousands of years. It takes a good hour to drive out to the Kizil Caves and you’re only allowed to enter a few of the caves with a guide. Add to that the fact that you’re not allowed to bring your camera and…well…that’s why I’ve put this as #3 instead of #1. Still, I found it fascinating to walk through the caves and realize that people across centuries, spanning different religions and cultures, carved out and painted each of these caves. Yes, that’s the name: the Tianshan Mysterious Grand Canyon. There are too many darn “Grand Canyons” in Xinjiang that they had to qualify it with the word “mysterious”. Ha! If you’re a photographer (or an aspiring one, like me), you’re going to love this place. 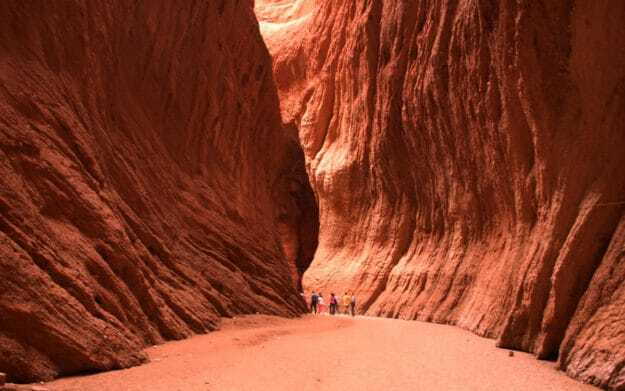 Similar to the Antelope Canyon in Arizona, USA, the red sandstone walls in this canyon twist at every turn, bouncing light in beautiful ways. There are over 5km of path to walk here and it’s best to come in the afternoon during the “golden hour” of the sun’s light. It takes a good 1.5 hours to get from Kuqa to the Grand Canyon and you’ll have to pass through a checkpoint along the way. 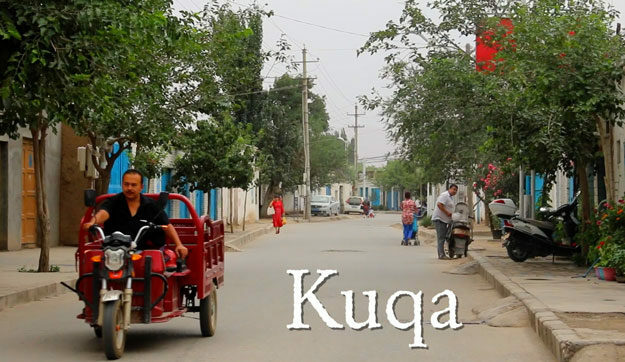 Like most every city in southern Xinjiang, Kuqa boasts both an “Old City” and a “New City”. Some cities, like Kashgar, have completely demolished and renovated their Old City. Kuqa’s Old City, with the exception of a small facelift, remains mostly intact, which makes it a fun place to walk around and enjoy Uyghur life and ancient architecture. In the evenings, I enjoy coming to sit at the outdoor markets and enjoy a drink, a meal and perhaps some local ice cream. It’s something you need to experience to truly appreciate! Like I mentioned earlier, traveling to Kuqa isn’t for everybody. It’s not particularly easy to get to and it doesn’t accommodate tourists that are looking for luxury. Kuqa is, however, a beautiful display of Silk Road history and authentic Uyghur culture. I’m glad I had a chance to visit! Have you been to Kuqa before? What was your favorite place? Fabulous enthusiastic and impassioned view of Kuqa culture. It sure makes me want to visit! Thanks Josh for your enthusiastic, insightful and practical updates about this fascinating part of the world. My husband and I joined a tour to the region a few years ago and enjoyed the culture and sites very much. We love your updates on what’s happening in the area. 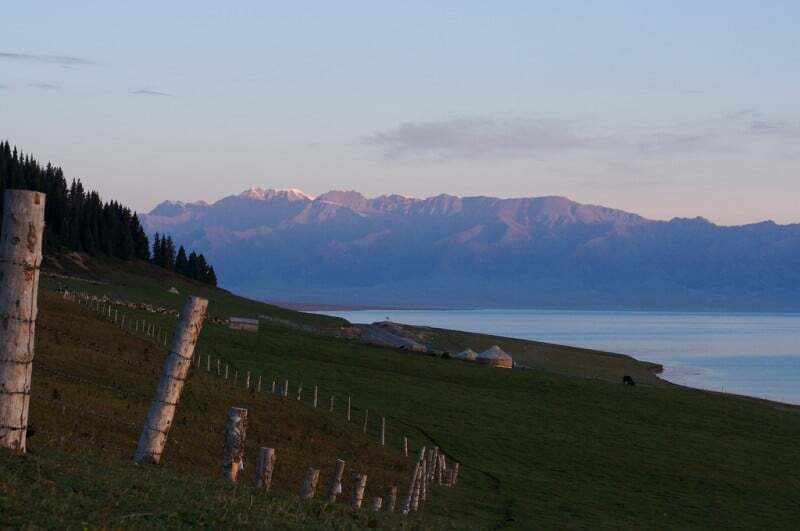 Your passion for Xinjiang province is contagious- inspired to return. I am planning on returning to Xinjiang w 2017 with friends, so glad for these tips. 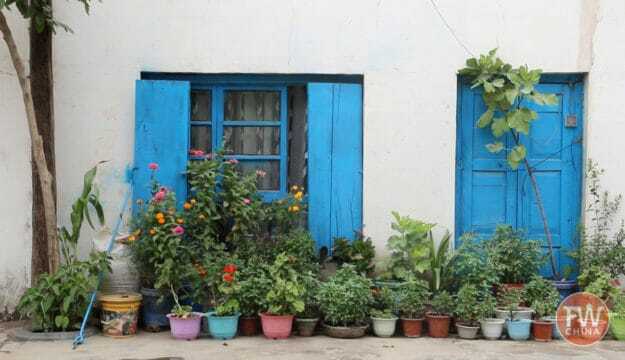 The blue doors in the Old City reminds me of the doors that we saw in Ghulja of the same color, that we didn’t see in other cities. Interesting! Wow! This mosque looks really stunning. I really want to go there some day. Great article, I want to to see the Tianshan “Mysterious” Grand Canyon! Looks very cool…. I hope you get a chance to do so, Rich! Thanks for letting us know! travel is my passion! Love to attend the conference. I really want to go there some day. Hello Josh, thank you for some great articles! Do you know if it is possible to reach Kuqa from Kashgar? I am planning to go to Xinjiang in october and would like to do Kashgar, the KKH, Kuqa and maybe Turpan. Also regarding the weather and your experience, what temperatures should we expect in end of September/beginning of october? Hi Marine, there is train and bus service between Kashgar and Kuqa. I highly recommend you check out the FarWestChina Xinjiang travel guide – it will answer a lot of these kinds of questions and so many more. That grand canyon is so beautiful! Absolutely anyone who loves taking photos would admire that place. I am just wondering, is a guide needed if you can’t speak chinese. Am planning to backpack there, and wondering if it is too hard to backpack if you dont know chinese. Hey Wan, it’s hard but not impossible. Getting a guide like the FarWestChina Xinjiang travel guide will help tremendously as it has the names of the places you’d want to visit in both Mandarin characters and pinyin (for you to try to pronounce). Wow. Awesome article. Thanks for sharing such a interesting information. i think this is the most fascinating part of the world. Thank you Josh for your insightful view about kuqa! May i know how many days will u recommend to backpack there just got the grand canyon? Thanks, Alex! You could probably spend 2-3 days there if you had the time. 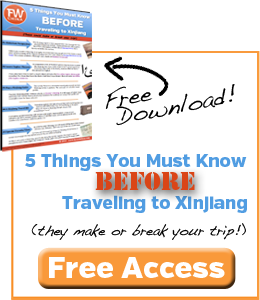 You can learn all about everything I recommend to see there in the FarWestChina Xinjiang travel guide. I think you’ll find it useful!